It’s the tippy top of your house, and it sits there rain or shine. Your roof protects your home. 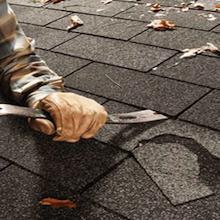 Treat it right and keep your family dry by keeping a roof in the best possible shape by repairing holes. Jim Hardwick with Ideal Roofing shows us how.